Washington has learned that threats and coercion do not work against Russia. All the threats have done is to build Putin’s public support to astronomical levels and to unify Russia against the West’s assault. This is a failed policy that Washington is abandoning as Washington sees a new opportunity in Russia’s desire for Western cooperation, not only against ISIL but also on a wide range of other issues. Realizing that guile can be more effective than the stick, the West is moving toward drawing Russia into the Western system by offering a coalition against ISIL. Once Russia is in a coalition against ISIL, Russia will lose control. This is Washington’s strategy for counteracting the initiative that Russia seized in Syria. Once Russia is in a coalition against ISIL, Russia will have to make compromises. Putin will be told that Russia can have ISIL, but Russia has to turn Assad’s fate over to the West. If Putin balks, the Western media will blame Putin for topedoing the war against ISIL. Getting rid of ISIL is more important to the Russian government than saving Assad. If a jihadist Islamic State is established, there will be a base for exporting turmoil into the Muslim regions of the Russian Federation. Many in Russia believe that the Paris attack proves that Putin was right and that the West now realizes this and will accept Russian leadership in the fight against ISIL. This belief is delusional. 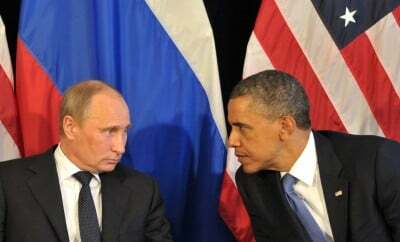 Washington will take advantage of Russian desire for Western cooperation and will use this desire in order to bring Russia under Western influence, thus reestablishing Washington’s hegemony.